Marché hosts the kind of events that make your heart simply ache upon arrival, knowing full well the enchantment that they create is truly infinite. 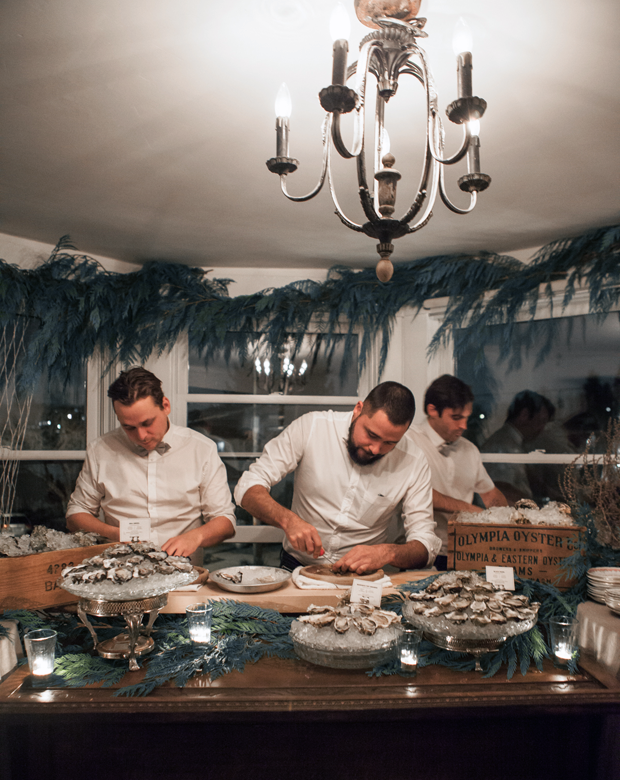 Bon Hiver—an evening in collaboration with the good people of The Curious Oyster and Racine wines surely attested to this. Walking out of the cold and up the stairs into the cozy, rustic and humbly luxurious apartments… the lovely aroma of Woodlot candles that filled the air… and depending on if you went left or right, the sweet smell would either continue through the winter pop up preview, or your nose would be induced and lured toward the fragrant sausages and other delicacies set out for guests to enjoy. As the evening progressed, the upper floor filled with more and more handsome attendees—which can be attributed to Marché’s way of diverse groups of people, or the copious amounts of wine served. 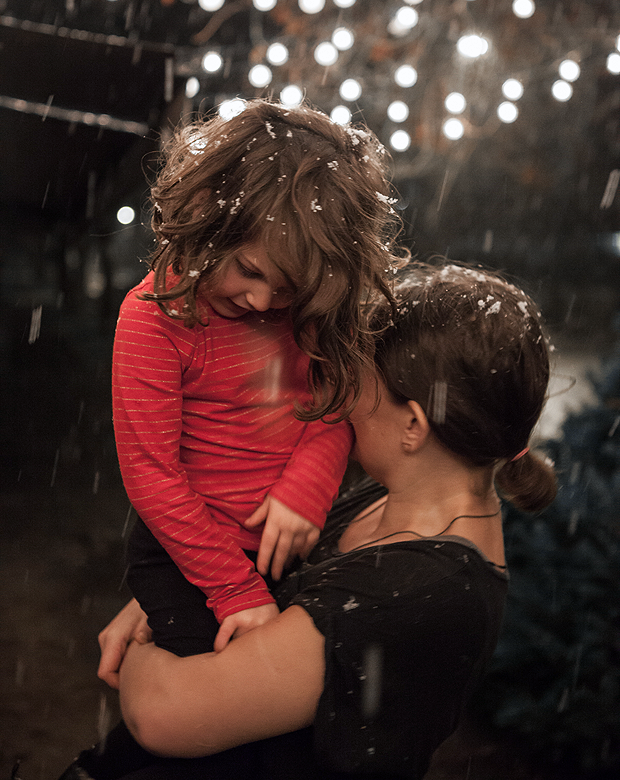 And like a well written story, the night ended in the most picturesque way—with the very first magical snowfall of the season. 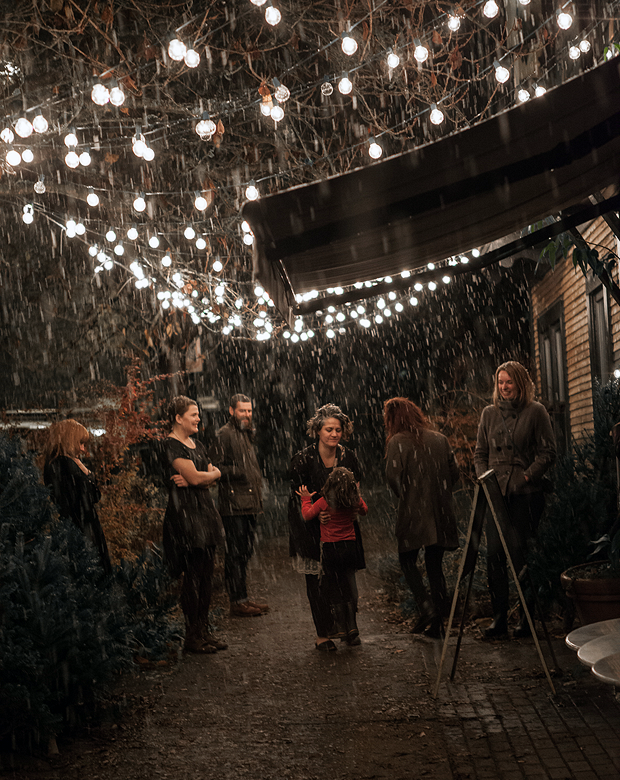 It was if the sky had been taken aback by the beautiful evening filled with laughter, inspired conversation and fun itself, and had blessed the final moments of Bon Hiver with its most precious gift.